"Best party ever!" That's what one of Curtner Studios residents said after our Hawaiian lunch and concert for them on Sept. 15. 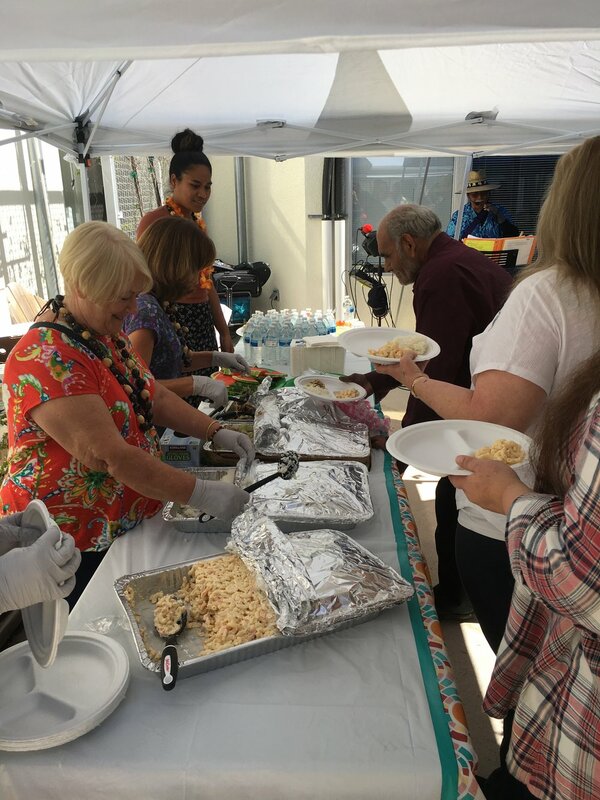 They enjoyed the Hawaiian music, the catered lunch, and having the chance to chat with people from our church who came to show them some love by spending a few hours with them. Thanks, volunteers, and Qu U Aloha I Ke Akua band!